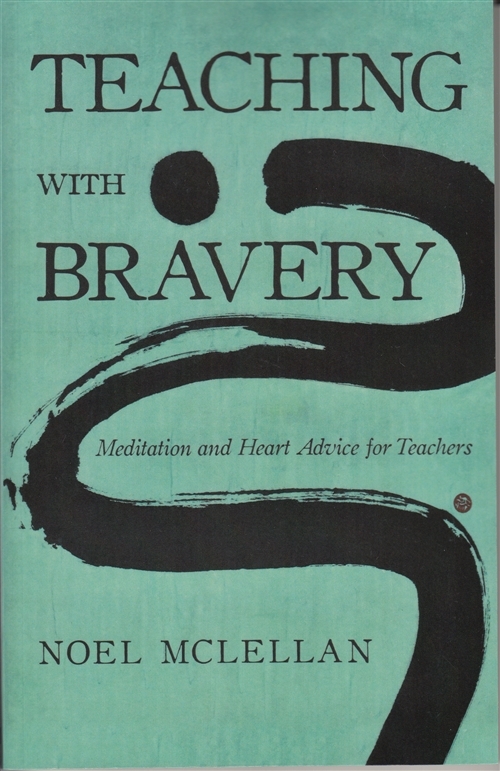 Teaching with Bravery: Meditation and Heart Advice for Teachers is a guidebook for teachers or anyone interested in uncovering their own, innate wisdom as a foundation for transforming their work with children and young people. Teachers are often overwhelmed, undervalued, and disempowered in their roles. At the same time, they are uniquely situated to influence the lives of young people and even to change the world. This book offers a new vision for teachers as the architects of a more compassionate society, as well as methods to engage with teaching as a journey of self-realization. Noel McLellan is a school teacher and a meditation instructor. Noel grew up in the Shambhala Buddhist community. He began practicing meditation when he was 12, and has trained in a variety of contemplative arts including Japanese archery, flower arranging, and calligraphy. He is an acharya, or “honoured teacher,” in the Shambhala tradition. Noel teaches middle and high school English and History and has served as Head Teacher as well as Dean of Mindfulness and Contemplative Learning at the Shambhala School in Halifax, Nova Scotia.